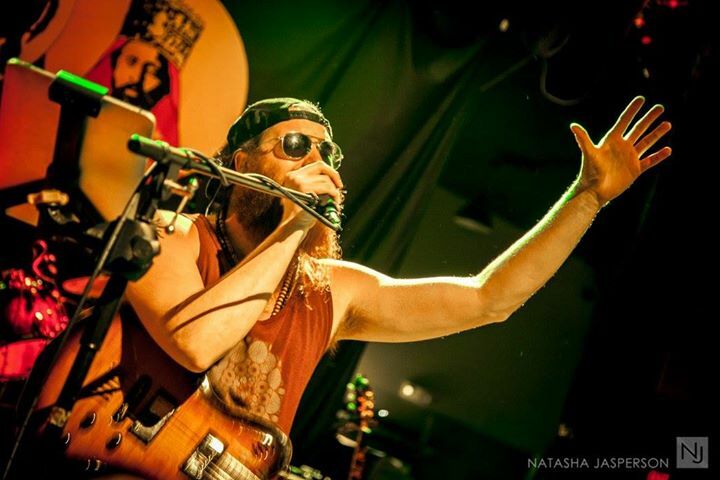 Lee Walsh, better known as ͞El Dub,͟ is an internationally touring one-man ͞loop͟ band,who is known for bending genres of Reggae, Funk, Hip Hop, Electronic and Jam, built with a backbone of extraordinary beat-boxing skills, along with well-crafted upbeat rhythms. This original combination continues to provide him unique opportunities to be welcomed in a multitude of music festival styles and variety artist collaborations. El Dub is a soulful artist, who mixes melodic harmonies andintricate looping mixes, with all instruments live and in real time. From beat boxing, guitar, bass, keys, and synth sounds such as horns, piano, flutes etc. to sound like full band with just one man; an extraordinary performance to say the least. El Dub’s impressive looping skills, have landed him main-stage performances at notable festivals and venues, including SXSW, Vans Warped Tour, Suwannee Hulaween, Unify Fest and Shangri-lato name a few, as well as earned him the opportunity to perform alongside the likes of 311, Matisyahu, Dirty Heads, Slightly Stoopid , Rebelutionand many more. In 2012, Lee ͞El Dub͟ made an advantageous decision to sell his possessions and move with his wife and children into the RV and tour the country performing for fans. He is a family man, who home schools his oldest with his wife Angie, who all manages to handle his bookings. Together, they have toured to thirty-eight states for four consecutive years. Currently El Dub is touring in support of the release of his third full-length CD, Feelin’ Alive, which is packed deep and conscious lyrical expression; a driving force for this young family man. El Dub evokes positive change wherever he goes, leaving his audiences revived, with a new zest for life and a rebirth of purpose and enlightenment.